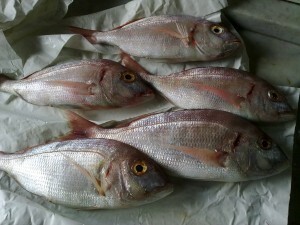 There are few steps to do in order to recognize if a fish is fresh. I am going to show you which are the main things where you have to look. 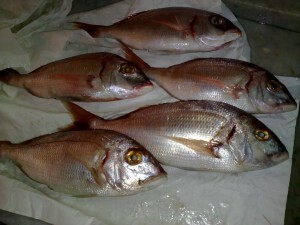 Even if the pictures are of a fresh red “pagello” the following apply for almost every kind of fish. I did my best shooting many pictures but keep in mind that there is a slight difference in color contrast. 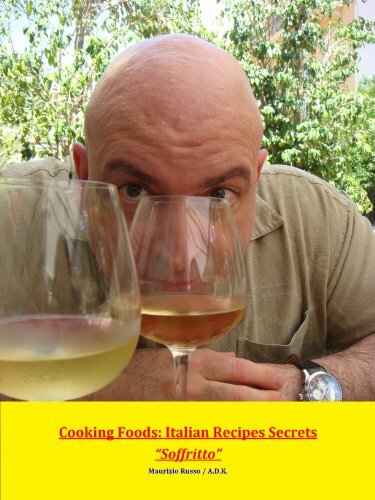 Step 1: the fresh fish has a pleasant odor of fish and nothing else, it has not bad smell. 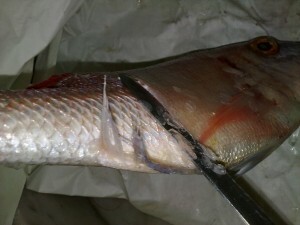 Step 2: the body is hard due to “rigor mortis” for almost two hours after the fish has died; still the body remain firm and stiff for hours: this is upon the temperature of the fridge used to store it. 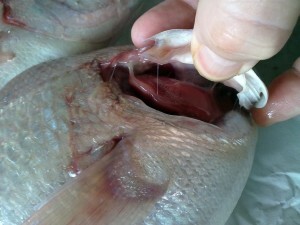 A fresh fish skin is luster and if you press firmly the skin with your finger no hollow print should remain. 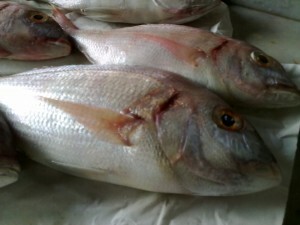 Step 3: the belly of a fresh fish is it firm and compact: no swollen belly is observed. 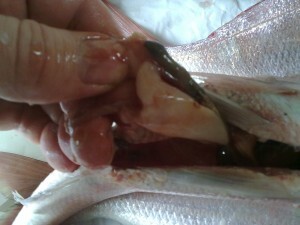 step 4: if opened the gills of a fresh fish they are pink/red and not purple/red. 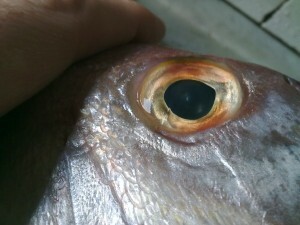 Step 5: the eyes of a fresh fish are crystalline and transparent. Step 6: the scales are firm on the skin and hard to remove, underneath the skin remain luster and compact. Step 7: when you cut open the belly there is no bad smell. 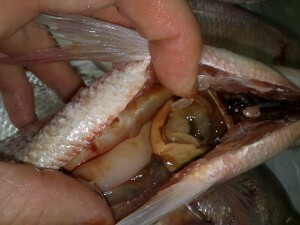 Step 8: the inside organs are not swollen but healthy.